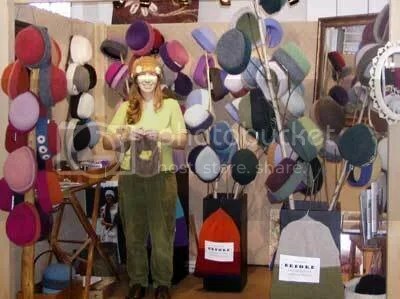 Join me and my Heirloom Handknit Hats at the 13th Annual Pods for the Pulpit Craft Fair at Tracy Hall in Norwich, Vermont this Fri. & Sat., Nov. 23 & 24, 2007 from 10 AM to 4 PM. This will be my 4th time at this fun Upper Valley holiday event, and I hope to see you there. Can’t make it to Vermont this weekend? This entry was posted in Demonstration, Embroidery, Fine Craft, Holidays, Travel, Upper Valley and tagged Art-to-wear, Demonstration, Fine Craft, Fine Craft Fairs, Knitting, Norwich, Pods for the Pulpit, Tracy Hall, Vermont, vt by Carrie Cahill Mulligan. Bookmark the permalink.